We are quickly approaching the Open Enrollment period for Medicare Part D – October 15 through December 7. Open Enrollment is the time when all people with Medicare can change their Medicare plan and their prescription drug coverage for 2016. Medicare Part D is one of the most confusing parts of Medicare. 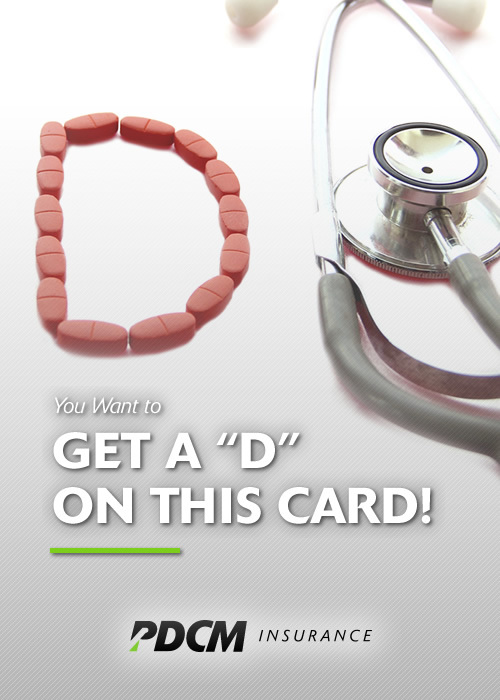 What are some of the key items you need to be aware of when enrolling in Part D? Unlike Original Medicare (Parts A and B), the program is voluntary – individuals can choose whether or not to participate in the Part D program. However, health insurance counselors do not recommend opting out of Part D, as most people need prescription drug coverage eventually. Additionally, if you choose not to enroll in Part D when first eligible and then enrolls later (without qualifying for a Special Enrollment Period), they may have to pay a lifetime penalty for every month they delayed enrollment. Choosing a plan can be confusing. Some have annual deductibles in the range of $300 before the coverage kicks in; others offer first dollar coverage. Some are “good bets” if you take either no medication or only generics; others are more appropriate if the person who is being covered has specialized needs or a long list of medications that need to be tweaked on an ongoing basis. The Open Enrollment period occurs every year between October 15 and December 7th. It is important to consult your insurance agent. It is always a good idea to review your plan during this time period.